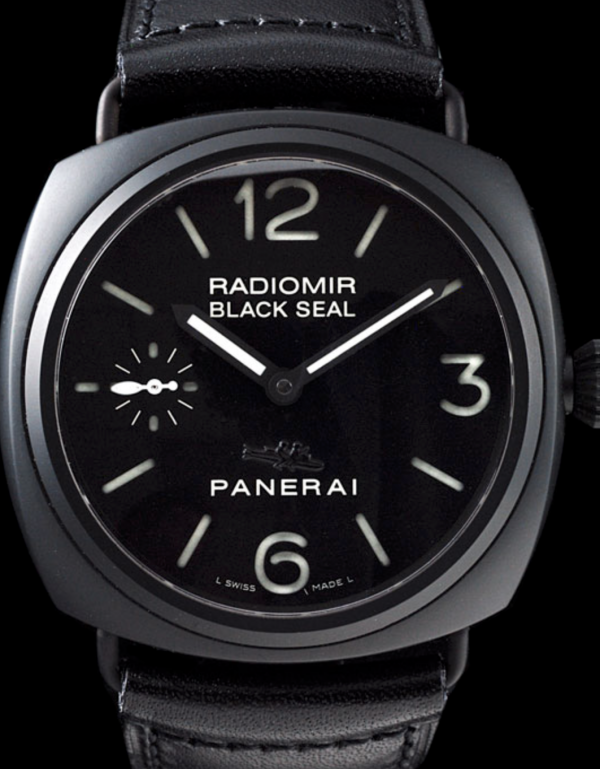 The Radiomir watch has the vintage style wire lugs. The case is black ceramic with a factory PVD blackened stainless steel caseback. Case measures 45mm square by 14mm thick. Crystal is domed sapphire. Crown screws down. Ceramic is five times harder than stainless steel and is all but impervious to scratches. Watch is water resistant to 100 meters. 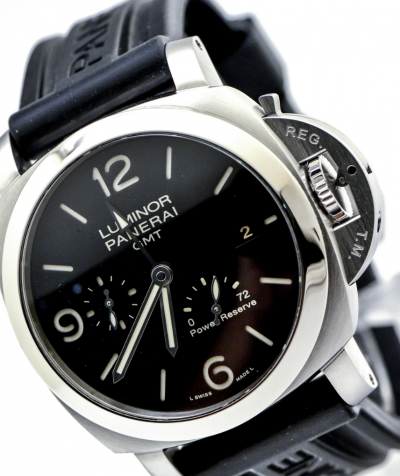 The dial is black and is a “sandwich” dial, meaning that there is a luminous layer upon which a second, black layer is set which has engraved hour markers and engraved ‘12’, ‘3’ and ‘6’ through which the luminous below is visible. Complicated, but it imparts an excellent depth to the dial. 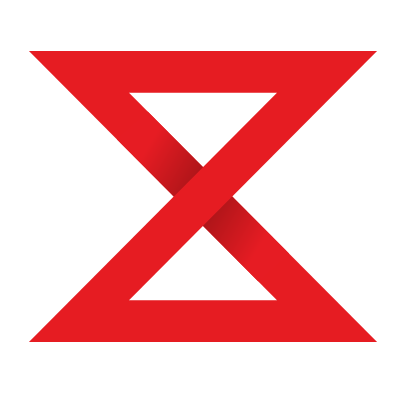 Constant seconds subdial adjacent to 9 o’clock. 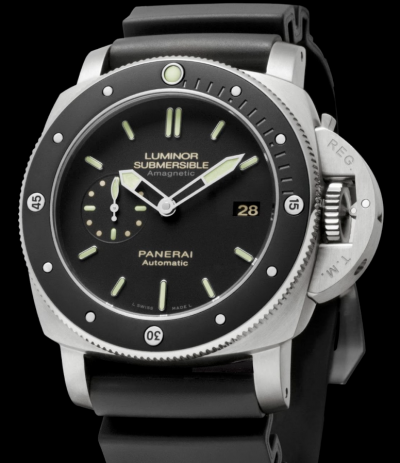 The applied black Italian frogmen atop their military dive torpedo is just above ‘PANERAI’ on the dial.